While I was busy digitizing my record collection, I got a chance to look at some of the album art that I haven’t seen for some time. That’s one of the reason that I love records, they’re big. More room for the art. 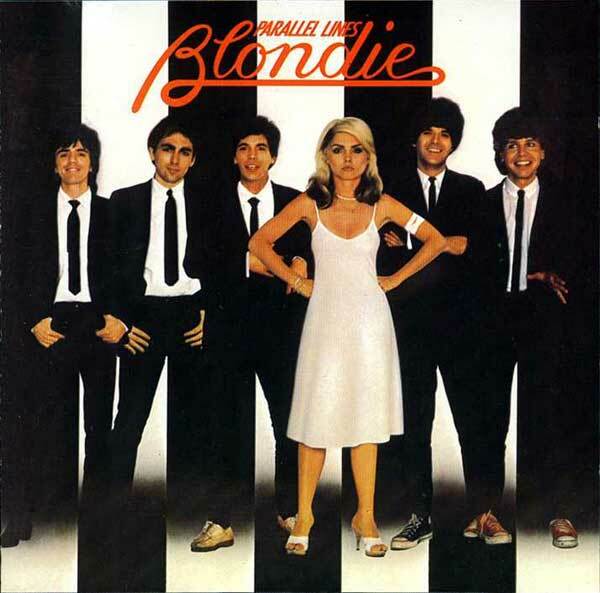 I came across my copy of Blondie’s Parallel Lines. I remembered how much I love this cover. It’s just so perfect. First of all, they Mod-style suits for the men are fantastic. I’ve always been a sucker for skinny ties. Between the black and white striped background, Mod suits and black hair, the men pretty much fade into the background. Right in the middle (in a striking pose nonetheless) is Debbie Harry with her white dress and blonde hair. I find it to be a very tongue-in-cheek image. The band has to know that everybody is paying attention to Debbie Harry anyway, so why not make a joke of it?